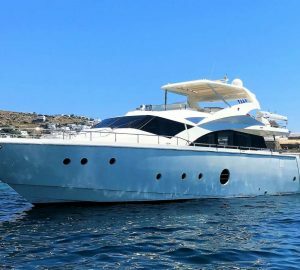 Luxury charter yacht KRYS KAR was built by Aicon in 2008 and measures 23.22 meters (76.2ft) and can accommodate 8 guests in 4 spacious cabins. 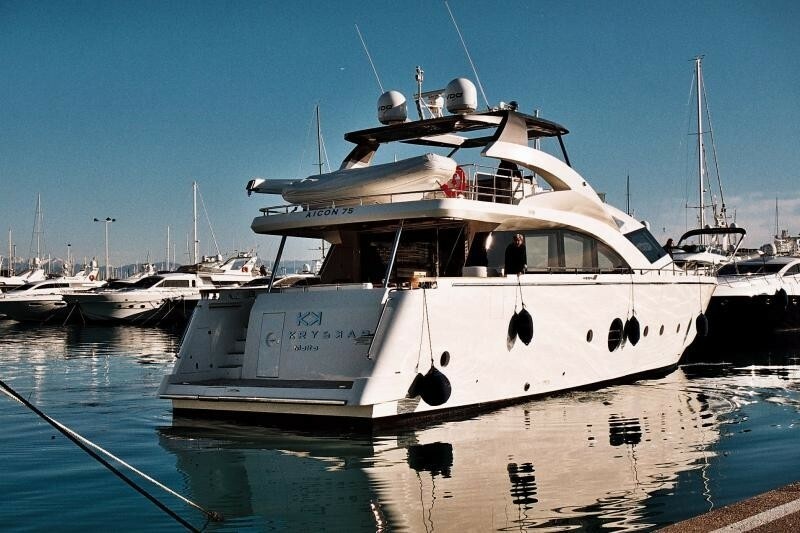 M/Y KRYS KAR is available for charter in the West Mediterranean. 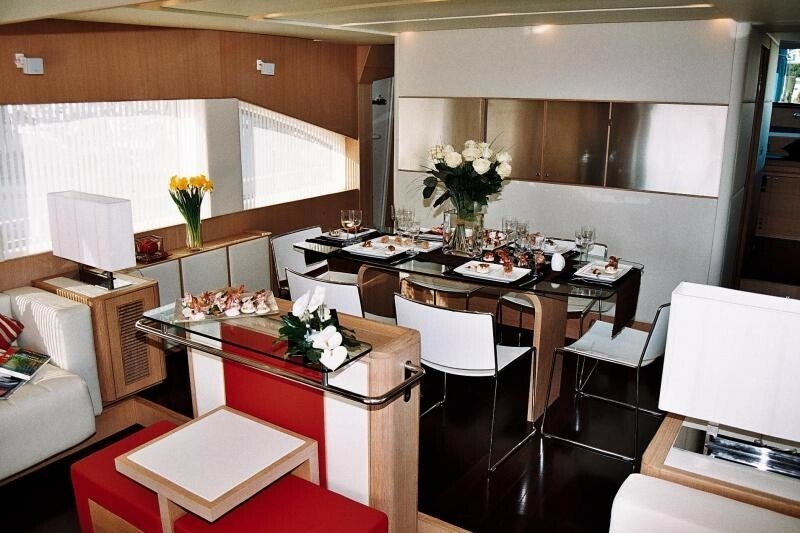 Motor yacht KRYS KAR has a modern interior, the salon features 2 large white sofas on either side, gorgeous dark wood floors that accent the light wood structure, the formal dining table is forward of the salon in an open plan, full length windows create the even more space and allow ample natural light. 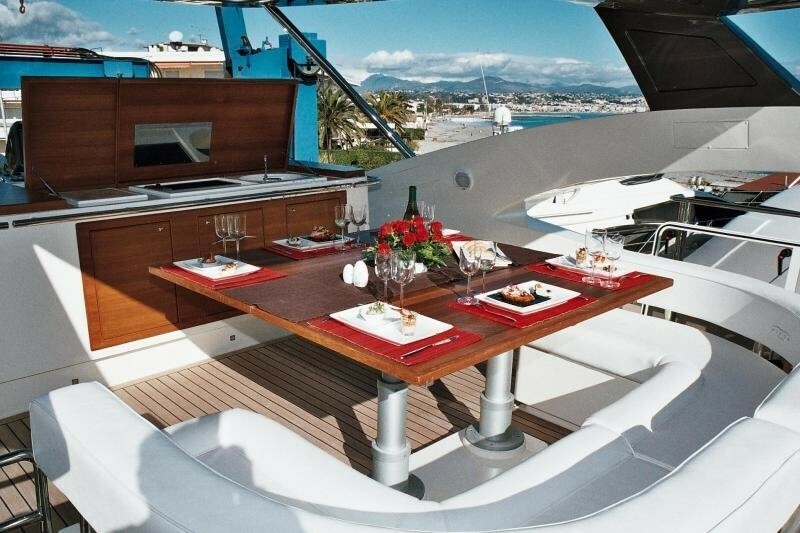 Charter yacht KRYS KAR offers guests plenty of external deck space. 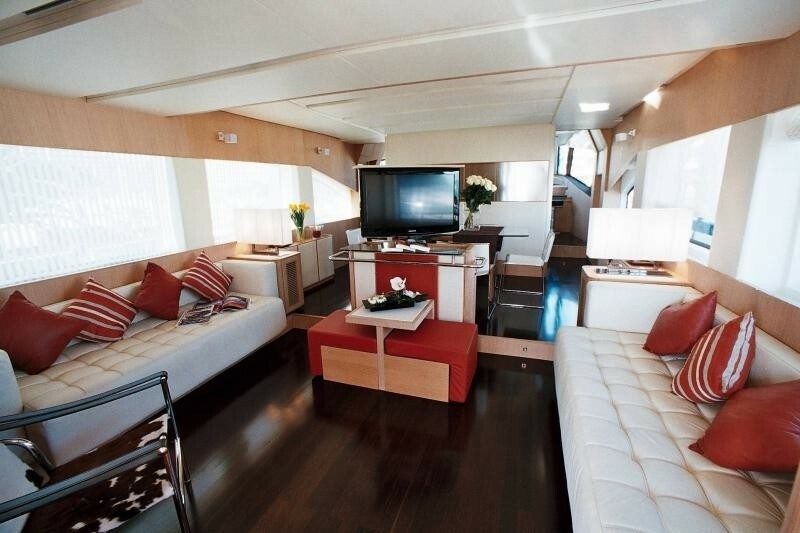 The aft deck has an alfresco option while aft steps lead down to the swim platform. 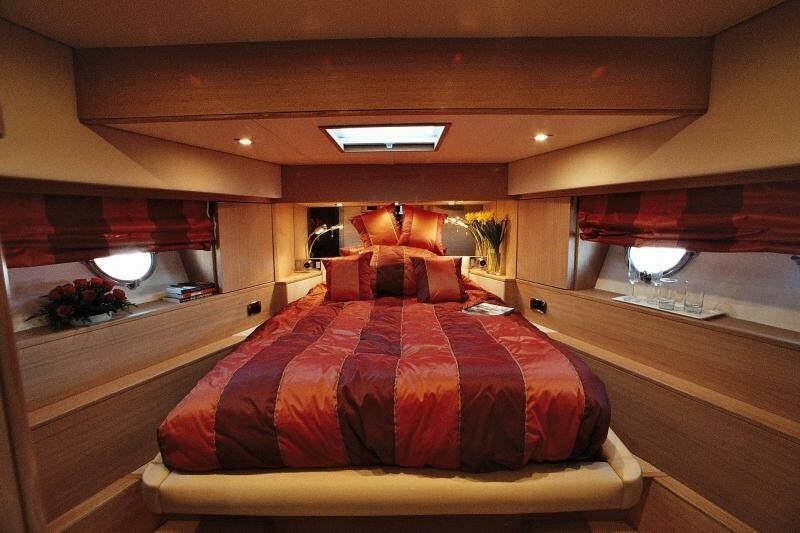 Forward the deck space continues. 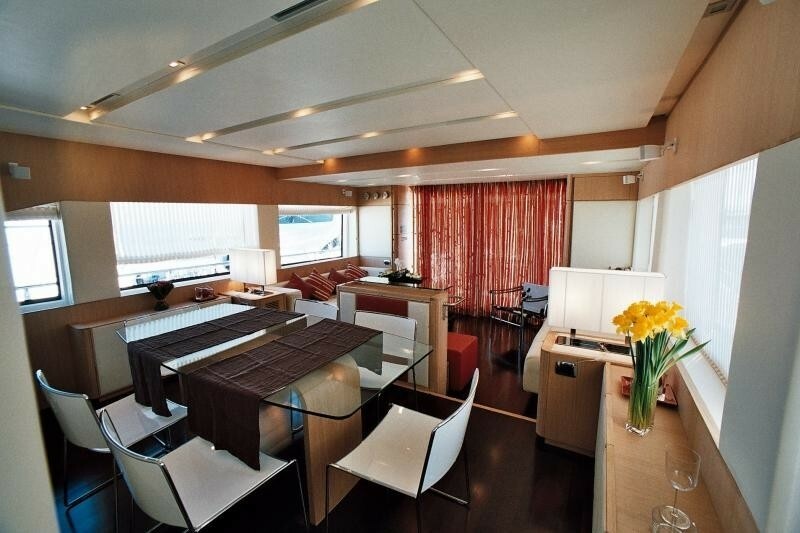 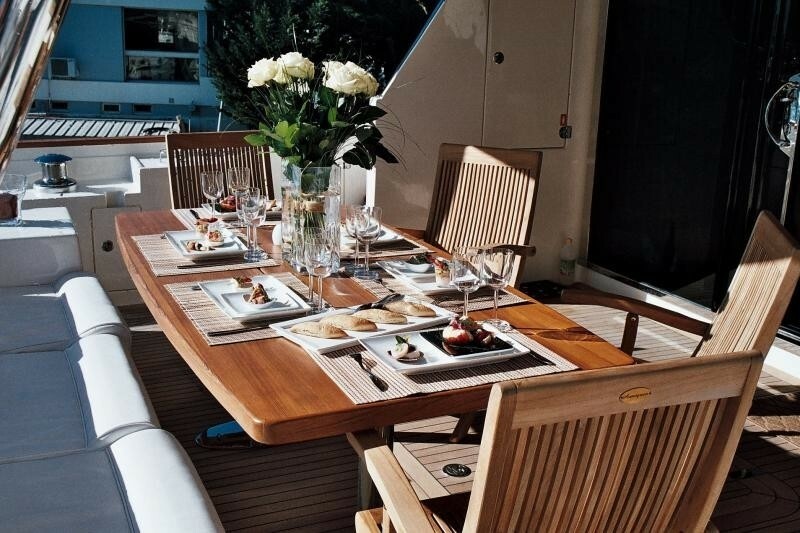 Above the main deck the flybridge has another alfresco dining option, ample seating, a BBQ and prepping area. 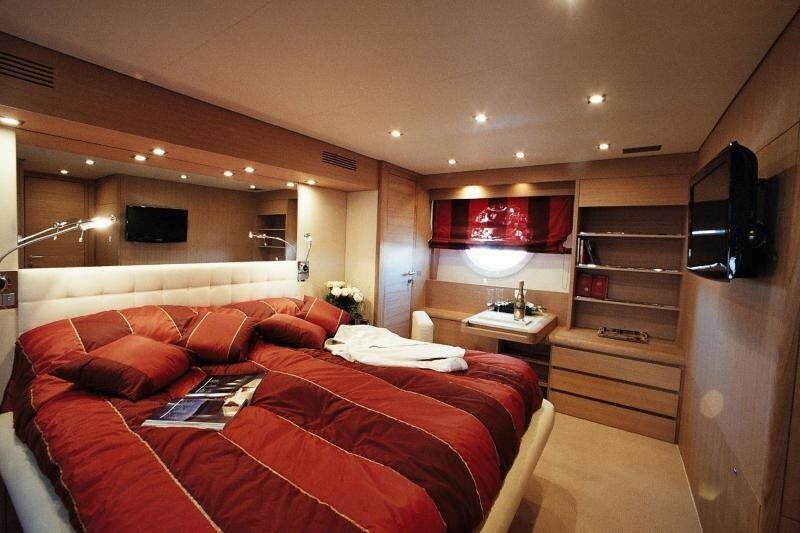 M/Y KRYS KAR has a beam of 5.88 meters (19.3ft) and a draft of 2.85 meters (9.3ft) and cruises at speeds of 23 knots. 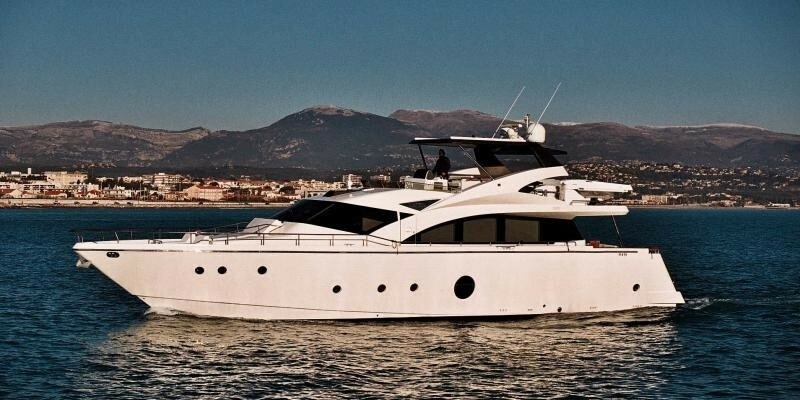 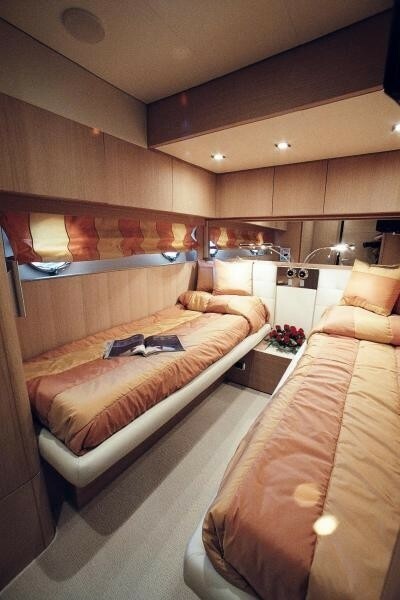 Luxury yacht KRYS KAR can accommodate 8 guests in 1 master suite that is full beam of the yacht with a king size bed, a VIP cabin forward and 2 further twin cabins, all cabins are light and airy and offer en-suite facilities.